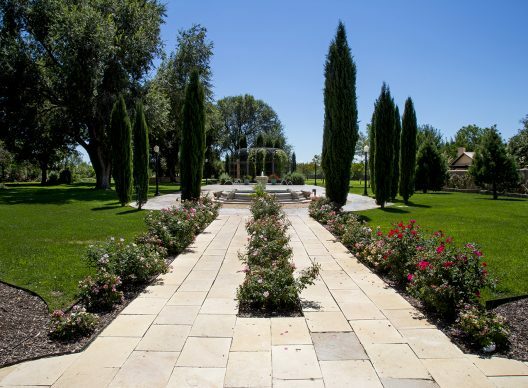 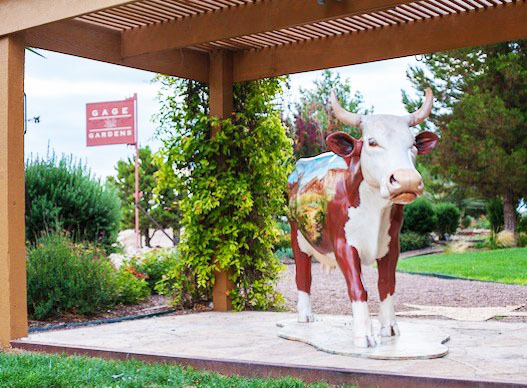 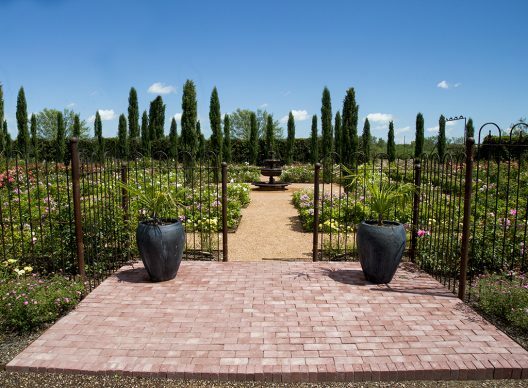 Sprawling across 27-acres of lush greens, the Gage Gardens encompasses a native landscaped garden park with lovely ponds, beautiful fountains, nine-hole putting green, rose garden, vineyard, fruit orchard and a large fire pit with banquette seating. 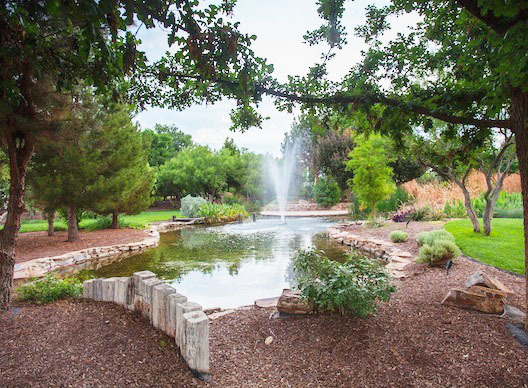 Guests can meander around the quarter-mile walking trail through the meticulously landscaped garden or take the more challenging one mile jogging loop with interval exercise stations. 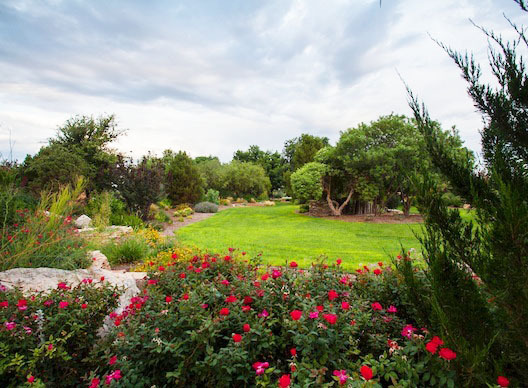 Blooming with colorful indigenous plants that flourish year round, the garden is a welcome home for migrating birds and butterflies, and provides the ideal spot for a relaxing walk with your partner or dog, an afternoon picnic, an idyllic wedding or private party.